Lines of Beauty will be 5-years-old in April. I can't believe it actually. As some of you know, I started this blog because I went in search of support on aging naturally and couldn't find one. For so long when I googled "blog on aging gracefully", Lines of Beauty was showing up at the bottom of page one, if not on page two, in search results. I've thought to myself, "How can I encourage women to age naturally and enjoy the process when I'm not even showing up in the first few results in a google search?" Honestly, this is more rewarding to me than doing well in a swim meet. I saw the poster here on my niece's dorm wall when I visited her at Sterling College in Vermont. If you know someone, young or old, who is looking for a small, alternative, very earthy college experience, I highly recommend Sterling. Their tagline is "Working hands, Working minds." 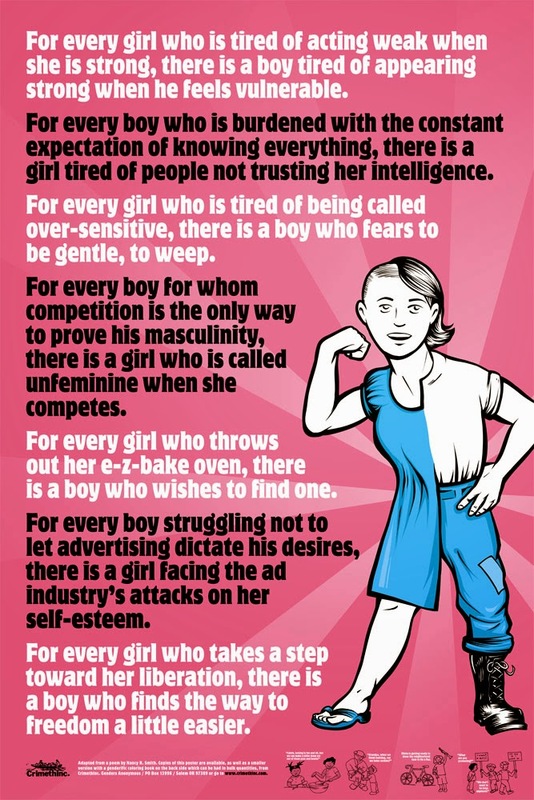 "For every man struggling not to let advertising dictate his desires, there is a woman facing the ad industry's attacks on her self-esteem." My hunch is that women face the larger struggle. Anyway, thank you dear readers for visiting Lines of Beauty and helping it to grow. I clearly couldn't have done it without you. Thank you, dear Louise, for reaching out to al your sisters and offering them positive information and lots of love. Congratulations on 5 years!!! Thank you boggle the clown. I love your artwork.